Up to 32 samples can be run in 0.1 ml tubes or 8-strip format. Fast heating and cooling is achieved by utilizing robust Peltier elements, whilst assay performance is supported further by a heated lid design. 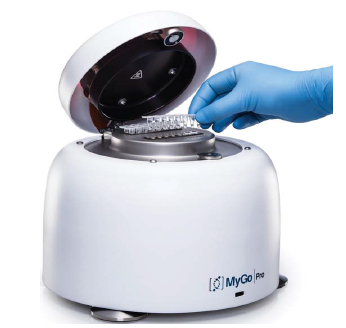 Excitation is provided by high intensity LEDs filtered to provide light at 500nm that is capable of exciting all fluorophores commonly used in qPCR. A prism is used to generate spectra from fluorescent emissions. These spectra are imaged using a CMOS camera.